Tonight marks the beginning of my new year, and it’s only fitting that the veil between our world and the spirit world would be thinnest at this moment. Today was not the best of days for me. I was exhausted all day, trudged my way through work, then at the end of a long day got an email from my boss that basically asked if I actually do anything. This after working tirelessly last week to make a perfect slideshow for her (including one 15 hour work day where I forgot to even eat, I was so focused), while holding various phone meetings, contacting media and photographers, taking care of our website and social media, researching new ideas, etc. Of course I cried. I cried, then I stopped. It’s new year’s eve, a time to pay our respects to our beloved dead, and spend precious moments making positive affirmations and planning for the year that is to come. I will not spend my night in despair. I will spend my night remembering my loved ones and dedicating myself fully to my path, to the Old Way. Starting tomorrow, I will be putting energy into separating myself from this job that’s had me held down with my face in the mud for so long. I need to breathe again. 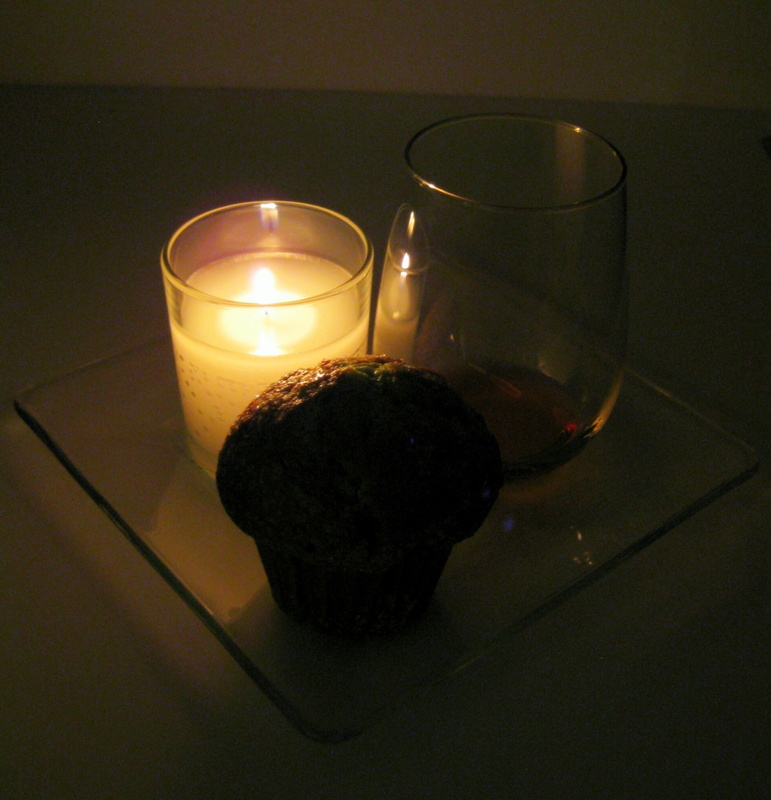 I lit a candle and laid out a lovely pistachio muffin and a glass of Hennessy for those who have passed out of our realm – first on my mind are my Granddaddy and my amazing friends Josh Foresi and Lloyd Sensat. I hope they enjoy. I’d leave it outside by the front door, as is tradition, but I’m afraid someone will steal it and then have a very negative year as a result. Instead it’s on my kitchen counter, where they’re all very welcome to come and hang out, just like they were in life. I’ll leave the candle burning all night, along with another that will burn in my window from midnight to sunrise. I also began my first Book of Light and Shadows today, and am dedicating it to the keeping of positive energy and healing thoughts. It’s purple, and has almost 200 pages to write in. So far I’ve only designed the cover page, and found a beautiful illustration of an owl on a stack of books, which I’m going to affix to the front of the book. I’m also going to write a few thoughts before I go to bed. OK, time to light a candle, change the cat’s water bowl, dedicate my Book of Light and Shadows and get ready for bed. It’s been a long day, and tomorrow will probably be just as long. I’m going to be in a friend’s short film tomorrow night, and I don’t even know what my lines are going to be yet – goody. Yeah, just really busy – sorry! I guess I should blog about it, but I’m consumed with grad school for marketing, online classes for pagan studies, the holidays, my boyfriend (who has finally come home), my full time job, which now includes writing a book for my boss, and my band, which has its first gig in a week. Eek!